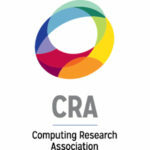 At the CRA URMD Grad Cohort Workshop, you will spend two days interacting with senior computing researchers and professionals, who will share pertinent information on graduate school survival skills, as well as more personal information and insights about their experiences. The workshop will include a mix of formal presentations and informal discussions and social events. By attending URMD Grad Cohort you will be able to build mentoring relationships and develop peer networks that will form the basis for ongoing activities during your graduate career and beyond. The inaugural CRA URMD Grad Cohort Workshop took place March 16-17, 2018 with the generous support of sponsors from industry, the National Science Foundation, the Computing Research Association, the Association for Computing Machinery, and AccessComputing. The CRA URMD Grad Cohort Workshop aims to increase the ranks of senior underrepresented minorities and persons with disabilities in computing research by building and mentoring nationwide communities through their graduate studies. Masters and PhD computer science and engineering students who are attending an institution in the U.S. or its territories, or an institution in Canada. Applicants from underrepresented groups in computing will be given priority (Alaska Native, Black/African American, Hispanic, Native American, Native Hawaiian and other Pacific Islander, and/or Persons with Disabilities).